April 19 (RT News) On Thursday, Raul Castro, the 86-year-old brother of the late Fidel, will step down as the president of Cuba. For the first time in almost 60 years, the island will not be led by a Castro, although the man who is widely assumed to take the post next, First Vice President Miguel Diaz-Canel, has vowed to stay on the path of Fidel’s revolution. Two days prior to this, however, the island marks the day when, in 1961, Fidel and his forces beat back an assault which, it was then hoped in Washington, could unseat the leader and nip Cuba’s communist dream in the bud. 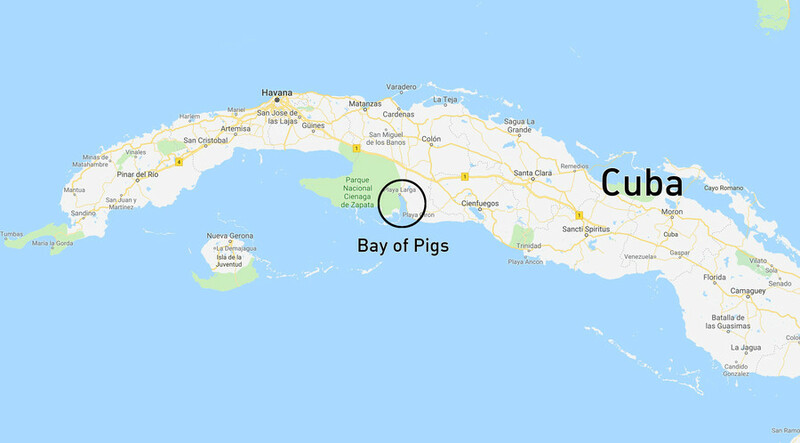 The Bay of Pigs invasion (or the invasion of Playa Giron, as it is known in Cuba) was a staple of American regime-change tactics. Orchestrated, prepared, planned, bankrolled, and combat-supported by the CIA, it was fronted by defectors from Castro’s Cuban revolution who had earlier fled to the US. Warplanes were painted in Cuban Air Force colors, ships were procured from a Cuban-owned company, and political asylum was granted to combatants – all for the sake of “plausible deniability.” It was hoped that a small force of returning exiles would sound a wake-up call for Cubans to rise up and topple Castro. Before thundering down in a three-day fiasco, the invasion spent a year in the making. It was approved by one US president, Dwight D. Eisenhower, and set in motion by another, John F. Kennedy. It cost the US $13 million, killed almost 300 people, ended in a major foreign policy embarrassment for Washington and achieved the exact opposite of its goal: a Cuba more opposed to the US, and closer to the Soviet Union, than ever. The Bay of Pigs was to be a multi-pronged assault, with air raids, seaborne infantry, paratroopers, underwater demolition teams and tanks. The CIA gathered and trained some 1,400 recruits – Brigade 2506 – on an island off the coast of Florida. Pilots were trained at a specially-constructed airfield in Guatemala, where, a few years prior, the US had succeeded in a similar operation, codenamed PBSUCCESS, which began a line of American-backed dictators there. It started off on April 15, 1961, with a series of air raids aimed at crippling Fidel Castro’s air power – an opening strike used numerous times since then, including in the most recent wars in Libya and Syria. This time, though, the B-26 light bombers received special treatment: they were painted the colors of the Cuban Air Force (FAR, for Fuerza Aérea Revolucionaria) and given other external refurbishment to appear as if defecting pilots were attacking the Cuban airfields. In one case the redecorations went a few steps farther: various items “typically found in Cuban military aircraft,” including a fake flight log, were placed in the cockpit. And, finally, parts of the warplane’s hull cover were removed, riddled with bullet holes and then put back on – so that it would seem the “defecting” pilot encountered return fire from the communist forces. When presented to the international community as proof of no US involvement in the Bay, that disguise soon cracked. Cuba called a UN Security Council meeting on the same day as the raids took place, to which US ambassador Adlai Stevenson, unaware of the CIA plot, brought pictures of the “defector’s” redecorated plane. On the pictures, the plane’s metal nose was visible. FAR planes had plastic noses. From there, it only went downhill for US President Kennedy; in a bid to prevent more exposure of the American hand, he called off further bombing runs, which the CIA plan envisioned as crucial for the success of the entire operation. This allowed parts of the Cuban air force to survive and come back with a vengeance, bombing the Brigade as it landed in the Bay of Pigs. 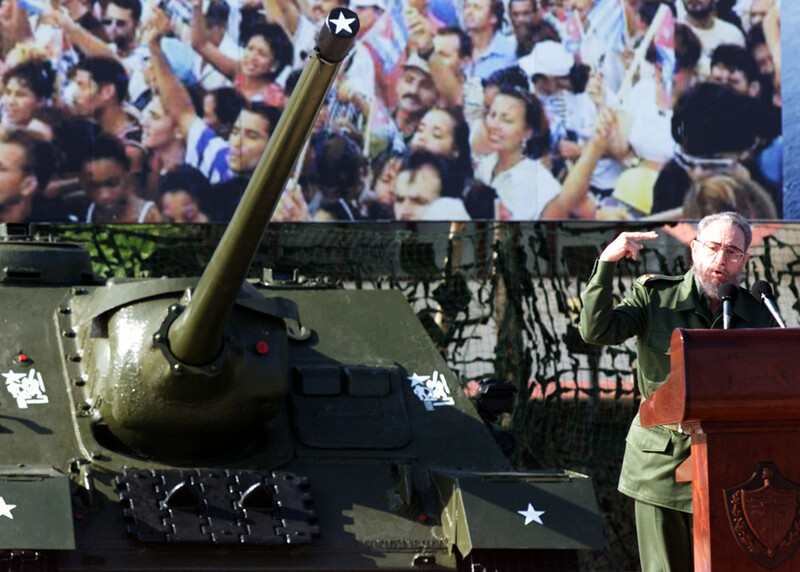 Cuban armed forces and militias were also there, after Castro was tipped off by the early bombings and, possibly, double agents within the Brigade. The invasion quickly stumbled into a stalemate. One American vessel, carrying troops and supplies, was hit by FAR rockets and beached. Another, with aviation fuel on board, exploded and sank. Cuban warplanes shot up landing craft as they tried to bring troops ashore. Out of the four para-drops, one was botched, with paratroopers missing their mark and some heavy equipment sinking in a swamp. Others landed in the midst of militia forces, but with superior training and equipment managed to block off roads to the bay for two days. With most of their supplies lost and air cover prohibited by Kennedy’s order, the outnumbered Brigade ran out of ammo and was either killed, taken prisoner or surrendered. Total losses in the operation are estimated at 176 killed and over 500 wounded on the Cuban side, 118 killed and 360 wounded in the Brigade; on the American side, four air crew were killed, two bombers shot down and two ships lost. What little vestiges of trust remained between the Castro government and Washington were wiped out. Cuba was pushed firmly into the arms of the Soviet Union, solidifying its role as a bastion of the much feared “global communism” at America’s doorstep. 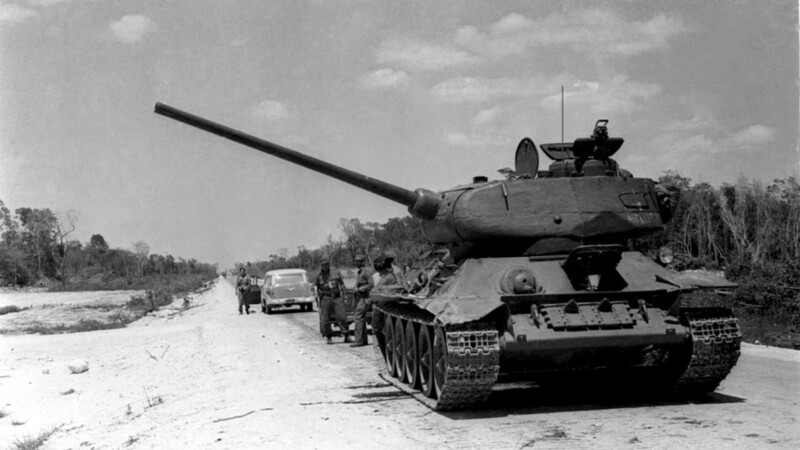 The stage was set for the scariest 13 days of the Cold War: the Cuban Missile Crisis. In the US, bickering ensued. A swift (as far as these things go) audit followed in February 1962, in which CIA Inspector General Lyman Kirkpatrick picked apart the Bay of Pigs multi-million botch, listing reasons like bad planning, staffing and intelligence, poor treatment of Brigade members by their American supervisors, and failure to alert the President when chances of success started flagging. That report was forcefully rebuffed by the invasion’s planner, CIA Deputy Director of Plans Richard Bissell, and buried under the ‘classified’ label for the next 35 years. The report was not discussed within the CIA or the Congress. It was deemed that, should it fall into “unfriendly hands” (i.e. shared with the public), it would undermine the CIA’s authority, which it would desperately need in the proxy insurgencies to come. And come they did: from supporting coups all across Latin America, to supplying weapons to revolutionaries in Africa, to arming Islamic militants in Afghanistan in the 1970s and 80s, to orchestrating a coup attempt in Iraq in 1996… to backing anti-government rebels in Syria with weapons and training. In another 30 years, we might even learn how much the US is really involved there – provided the world survives the interim.